Following the production status report on 5th October, Cimco produced 43 units for the month of October (week 40 to week 43 inclusive). The 200hp unit continues to be ramped up in a controlled manner. Cimco produced 43 engines for the month of October, compared to 45 engines in September. As explained in our last status report, our main production bottleneck remains to be a single supplier unable to produce certain parts to the agreed volumes in time. Cimco has found a solution by dual sourcing these crucial components and will enter this second supplier into production early December. Further updates will be provided in our Q3 interim report which will be published on 29th November 2018. – I am encouraged that we have a found a solution to our production bottleneck issue and that we are implementing this into production before the end of the year. I am confident that we will achieve our stated target of 25 units a week in December. Whilst we are slightly late towards reaching the target of 25 engines, we are pleased with knowing the reasons and mitigating it and developing the supplier network. In the meantime, all operational functions and production are running as planned, says Andreas Blomdahl, CEO Cimco Marine. Cimco Marine AB (publ) is obligated to make this information public pursuant to the EU Market Abuse Regulation. The information was submitted for publication, through the agency of the contact person set out above, on 8 November 2018 at 07:30 am. Cimco Marine AB (publ) has, after several years of development, constructed the OXE Diesel, the world´s first diesel outboard engine in the high power segment. OXE Diesel has a unique belt driven propulsion system that allows a hydraulic multi-friction gearbox to be mounted. 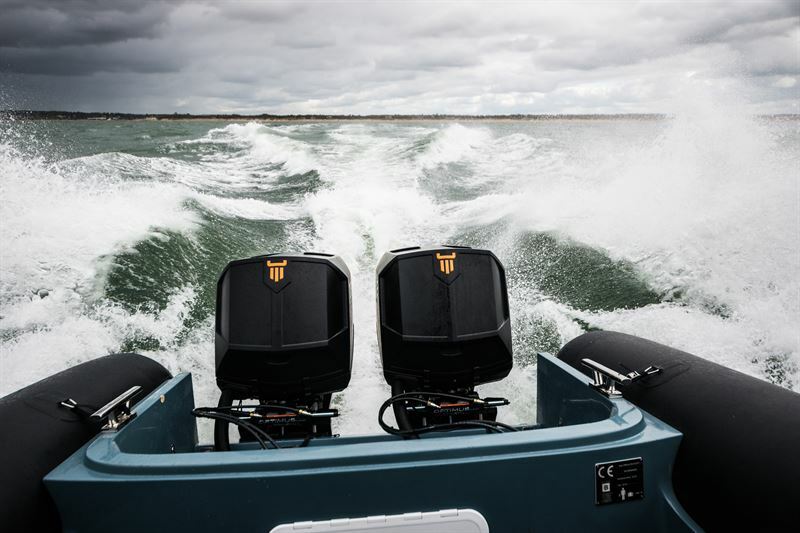 This means that the engine can handle significantly higher loads than a traditional outboard engine. Cimco’s OXE diesel has a horizontally mounted engine as opposed to a traditional outboard with a vertically mounted engine.